I want to give everyone a brief start, so if you have one or the other already just skip this part and go over to the more interesting things. I guess the same instructions should also work on any linux or windows system (beside choosing the right installation files…). Go to https://virtualbox.org/wiki/Downloads and choose the right installation file. After downloading just open it and follow the installatioon instructions. 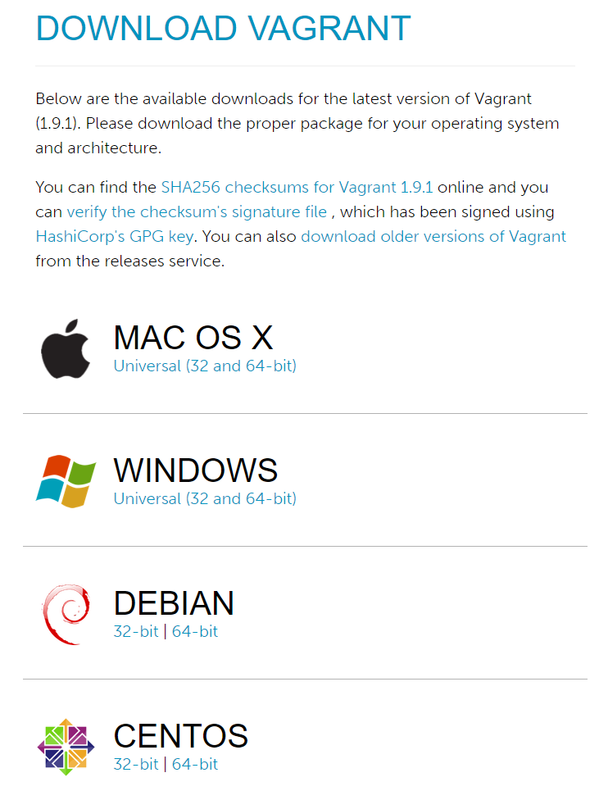 Go to https://www.vagrantup.com/downloads.html, download the right installation file, open it and follow the instructions. Now we are ready to initialize our first vagrant box and getting Ubuntu Xenial running on it. Start a terminal session, create a directory mkdir -p ~/Vagrant/ubuntu-xenial for your box, change into the directory cd ~/Vagrant/ubuntu-xenialand type vagrant init. Now edit the file “Vagrant” to have the following options like this. Let’s start now the box with vagrant up, this can last a littel time. HINT: Beware of the actual kernel bug in Ubuntu Xenial, which could kill your processes. Just have a look at this article. In prior to get Reaction Commerce running you have to install nodejs, some build tools and meteor. Login to your newly created box with vagrant sshand do the following steps. Let’s add this to the Vagrantfile for automation purposes. Now we are ready to get Reaction Commerce up and running! Why doing this? Because Reaction Commerce will get up on the port 3000 and I want it to listen on th eport 8080 on my localhost. vagrant upyour box, vagrant sshinto it and do the rest of the magic withcd ~/run reaction-cli init, change the directory cd ~/reactionand start reaction reaction run. => A patch (Meteor 1.4.2.7) for your current release is available! 17:07:12.992Z  WARN Reaction: Skipped loading settings from reaction.json. 17:07:25.180Z  INFO Reaction: Finished migrating. 17:07:25.644Z  INFO Reaction: Reaction initialization finished. 17:07:54.251Z  INFO Reaction: ProductSearch collection (re)built successfully. Now open your browser and visit http://localhost:8080 and you will see your shop. If you want to get admin on the site login as customer with the credentials of your cosole output. At last we are setting up “Synced Folders”, so you can use your favourite Code-Editor on your local machine and change files without the need to login to your virtual host machine. Add e.g. the following lines to your vagrant config. ~/dev/reaction is on your local machine (you can create it with mkdir -p ~/dev/reaction) and it will show the files of the directoy /home/vagrant/reactionof the virtual box. You could also package your Vagrant box for reusing it if you want. Mostly I personally like it to get things done fresh, so it is up to you how you like it.